From Austin, Texas, to Detroit, Michigan, From the Top alumni have been excelling in major competitions all over the United States. We’re thrilled to share the good news from concert halls across the country. Several From the Top alumni appeared as part of the esteemed biennial Menuhin International Competition for Young Violinists held recently in February. 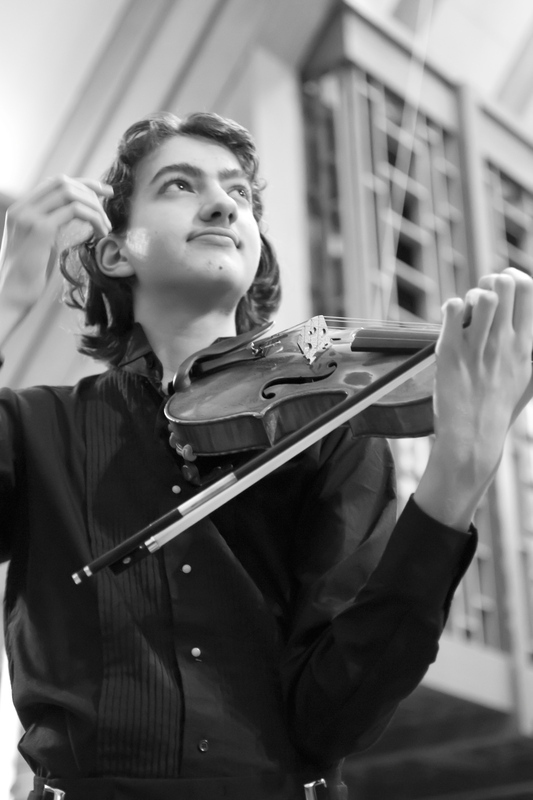 Violinists 17-year-old Stephen Waarts, pictured left, (Show 207, Stanford, California) of Los Altos, California, and 18-year-old Stephen Kim (Show 193, Mobile, Alabama) of Cupertino, California, both competed in the Senior Final Round. We are thrilled to share the news that Stephen Waarts won first prize and Stephen Kim took fourth prize! Alex Zhou (Show 263, Davis, California) placed fourth in the Junior Finals competition, the highest-ranking American student in that category. Also on hand was Ariel Horowitz (Show 262, Greensburg, Pennsylvania) who performed in the “Passing of the Bow” ceremony, a Menuhin tradition that communicates the power of music to share with other cultures. In Montgomery, Alabama, our friends at the Montgomery Symphony held the Blount-Slawson Young Artists Competition in late January. This year’s competition was especially poignant, as the leader of the competition and longtime friend of From the Top, Helen Steineker, passed away in December. We know she would have been pleased with the high level of competitors this year. From the Top alum Yaegy Park (Show 185, San Antonio, Texas), a violinist and recipient of our Jack Kent Cooke Young Artist Award from Pasadena, Texas, placed second with her performance of the first movement of the Prokofiev Second Violin concerto. First prize winner 14-year-old pianist Elisabeth Tsai is the younger sister of From the Top alum Eric Tsai (Show 227, Opelika, Alabama), and will be following in her big brother’s footsteps when she appears on the show on a date to be determined. We’ve also heard from 15-year-old organist and pianist Michael Jon Bennett (Show 281, Costa Mesa, California) from New York City, who will be making his Carnegie Hall debut after receiving the gold medal in the International Young Gifted Musicians Festival – Passion of Music 2014, sponsored by the American Association of the Development of the Gifted and Talented and first prize in the American Protégé International Piano and Strings Competition 2014. Are you an alum with a recent competition win to your name? Keep us up to date on your activities by emailing Robin Allen LaPlante, Marketing & Communications Manager, at rlaplante@fromthetop.org.